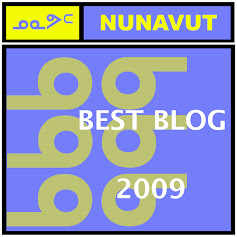 So, I'm back in Iqaluit...I'm sure the five of you still reading the blog will be happy to know this. Obviously the blog has been rather slow the last couple of months. Hell, most of this year. But I think I might be starting to feel a little revitalized. I think the couple of weeks vacation helped. Some may recall in the last blog post I said I would be back in a few weeks. Well, I was vague because I was going on vacation. Normally I have no problem letting people know that because we have someone housesitting. But not this time. We sent Boo off to Cathy's parents back in Newfoundland, which meant the house was empty. I prefer not to mention that sort of thing on the blog. And then we had communications problems the last week. Apparently while we were away one of the city's sewage trucks clipped our internet satellite dish, knocking it out of alignment. It's back now, but that took a couple of days. And today we had pouring rain and fog, which interfered with reception. So, we've had some issues. That doesn't excuse most of this year, but I've been doing this blog for about six years. I think a little burnout is entitled. So, where was the vacation? Well, we managed to pack in quite a bit in two weeks. First up was Toronto, a city ordinarily we wouldn't go anywhere near (Cathy has a near psychotic loathing of the place and 40C with smog during our time there didn't help), but there was a small gathering of old friends taking place and it was good to see them again (even if several threatened me if I didn't restart the blog). That was Sunday. On Monday we finally got to use the U2 tickets we bought over two years ago. I loved the show, although it was fascinating to read the review the next day. The Sun had a fairly bland recap, but gave it five stars, the Globe quite liked it, but went into more detail. But the Star must have seen a different show, because they didn't really care much for it. Then again, it read like a review of someone who has seen the band every time they've hit Toronto since the 80s. He wasn't impressed, which is fair enough, I guess. But seeing as how it was the first time I saw the band, I was blown away. After that, back to Ottawa to spend a few frantic days doing our sealift order. That's always a terrifying amount of money out the window in a short period of time. And then we headed to Costa Rica for 10 days. We've always wanted to go, and rather than plan everything ourselves, we got lazy and used Caravan - a bus tour operator. I'd read reviews about how good they were for ages and we decided to take a chance on them. A very good tour, I must say. Volcanoes, hot springs, lots of wildlife, lots of greenery (returning to Iqaluit was a bit of a shock) and a good time was had by all. Funny, there were 43 people on this tour, and we were the only Canadians. Us and 41 Americans. That was a touch eye-opening. But most were lovely people and a lot of fun. 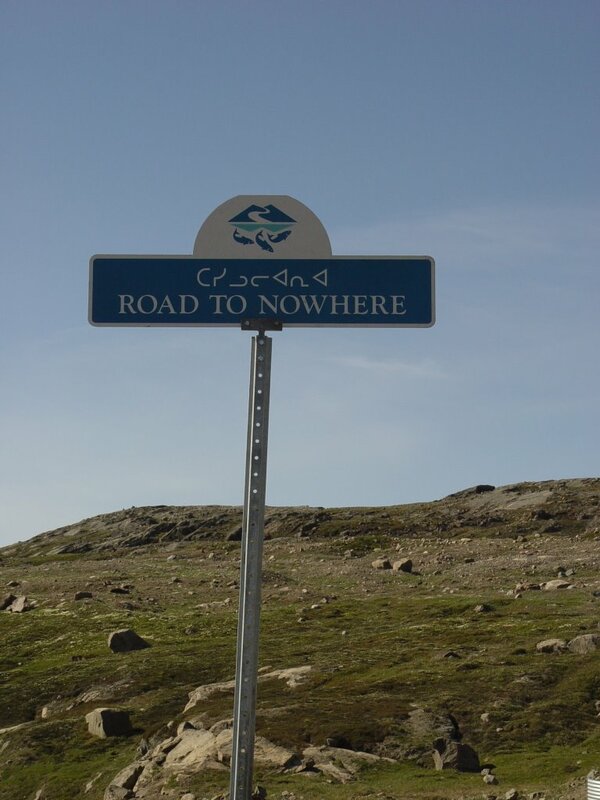 And, of course, I have to revamp the Moving to Iqaluit FAQ. New information and I think I'm going to organize it differently. If you have any more questions, now is the time to get them in. 3. There's an arc - Hey Rosetta! Reports of my death are somewhat exaggerated. Let's call it severe blog fatigue. But it's not dead, I promise. He'll, I've had stuff I could write about the last few weeks, but the drive to post it up just wasn't there. But the blog isn't dead, nor am I going to delete it. I still have great affection for old place, even if cobwebs are setting in and rats are beginning to eye the place. Just give me a couple more weeks and I promise I'll come back with new stories and more updates. But thanks for your patience, everyone. I know I've been abusing it something fierce lately.